Extra Virgin Olive Oil is High in Antioxidants and Vitamin E, Which Help Fight Oxidation. “My chips were all greasy and full of oil!” Well, they were probably fried with vegetable oil. Apart from it being healthier, one of the best reasons for using extra virgin olive oil for frying is that it forms a crust on the surface of the food that impedes the penetration of oil and improves its flavour. Food fried in extra virgin olive oil has a much lower fat content than food fried in other oils, making extra virgin far more suitable for weight control. Extra virgin olive oil, is the most suitable, the lightest and the tastiest medium for frying. Panzero’® uses extra virgin olive oil that are being produced in Puglia, Italy only. Puglia produces more olive oil than any other single region. There are some noteworthy oils from this region though, so don’t discount Puglia. The dominant olives in Puglese oils are Coratina, Provenzale, and Ogliarola. The oils in the region around Bari, a busy port city, are fruity and light. From the area of Bitonto, the oils are closer in character to the taste of fresh olives, with a slight almond taste. We’ve worked carefully to find small, artisan producers to provide our customers with the finest extra virgin olive oils of the region. We have gathered few interesting articles which include facts and studies regarding this subject. 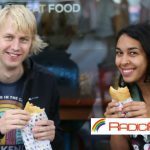 Panzero’ – panzerotti uit Puglia Vai a farti friggere in Olanda!